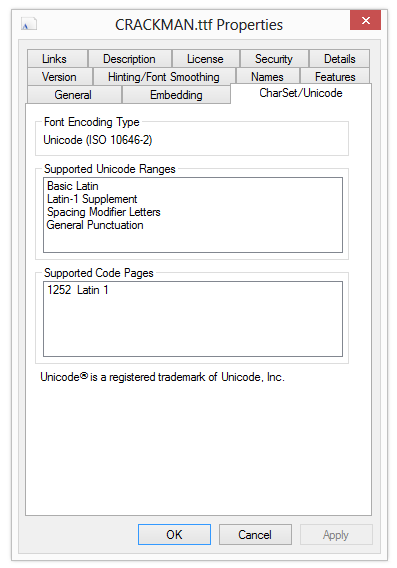 You can also download a Microsoft-provided tool, the OpenType Font File Properties Extension, to get even more information about each font. You can download the tool from here. (This tool will only work on 32-bit operating systems). 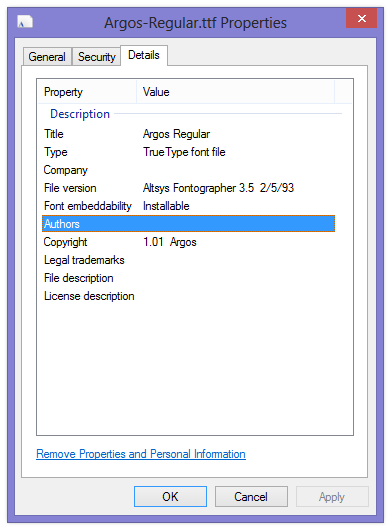 After installing the extension tool, the properties dialog for a font file will contain a number of additional tabs. 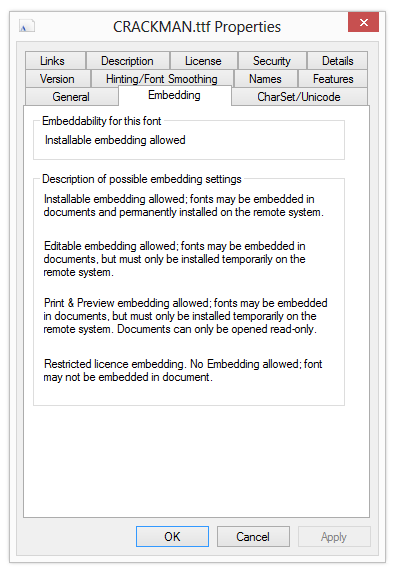 Embedding – Are you allowed to embed the font in your application? Names – Font name, font family name, vendor, etc.